Aug. 28, 2018 - USNR’s veneer dryers are renowned for consistently producing high-quality veneer with a uniform dry moisture content and aesthetic appearance. Our systems offer the highest efficiency, using the least amount of energy while producing minimal exhaust. 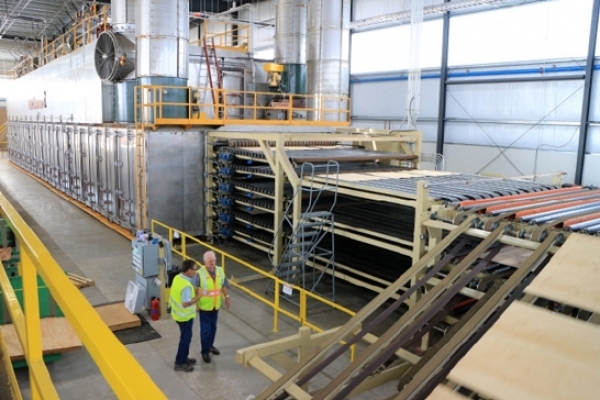 USNR has developed new technologies that make the veneer drying process more profitable. Roll-in dryer installation dramatically reduces the outage time when replacing or lengthening a dryer. Automatic Dryer Exhaust Control (ADEC) reduces energy requirements and lowers exhaust volume while improving the quality of dry veneer. Balanced Cooling significantly improves moisture detector accuracy. When automated with the GSc2000 dry veneer grading system, and Sequoia Sentry moisture system, your operation can enjoy dramatic recovery and productivity gains. Contact us to learn more!